The Camino Frances or French Way is the most traditional of all the pilgrims’ ways to Santiago de Compostela, dating from the Codex Calixtinus (12th century). It is by far the most celebrated and the best known internationally. In the Medieval times, thousands of pilgrims, mostly coming from France, were walking the French Way to reach the Tomb of the Apostle Saint James the Great. 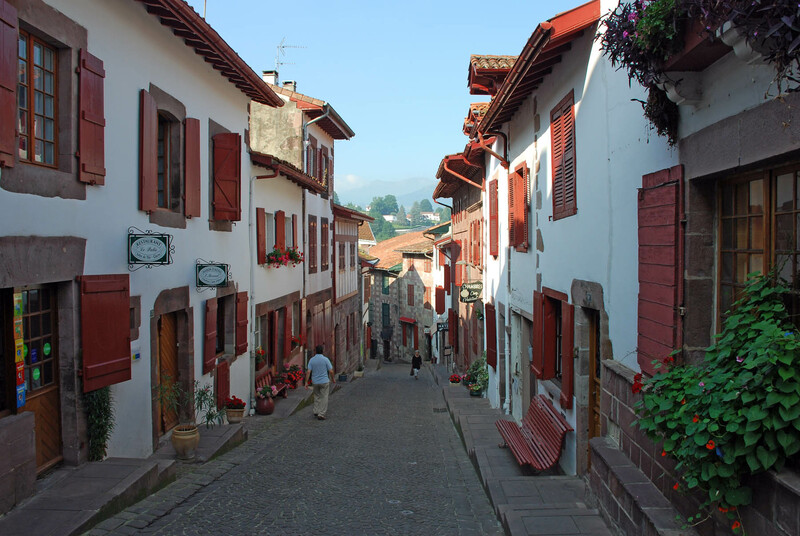 Over 20,000 pilgrims start the Camino de Santiago in St Jean Pied de Port every year, making this picturesque town at the foot of the Pyrenees the Camino second most popular starting point (after Sarria). At first this specific route follows the ‘Route de Napoleon’ over the Roncesvalles Pass (1500m) in the Basque country, and then crosses onto more gentle terrain to the great region of Navarra, getting to Pamplona, the town famous for its Bull Run festival, the San Fermin, described by Ernest Hemingway. The first walk from Saint Jean can be physically demanding and requires a reasonable level of fitness as you are going to cross over the Pyrennees. However, it’s a highly rewarding walk which includes numerous cultural highlights and a breathtaking scenery second to none! On top of this, as it is the beginning of the French Way, in Saint Jean Pied de Port, the atmosphere is very special, full with enthusiasm, spirituality and joy. 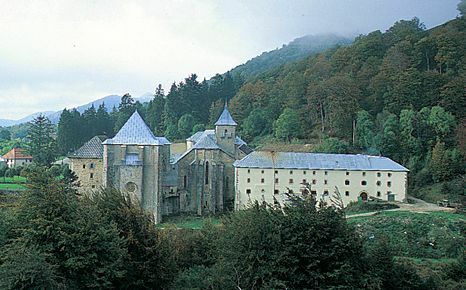 Collegiate Church of Orreaga/Roncesvalles: an enigmatic monumental ensemble in the French Gothic style set in beautiful scenery that recalls the legendary battle of Roncesvalles (Roncesvaux), immortalised in the mediaeval poem ‘La Chanson de Roland’. Auritz/Burguete and Aurizberri/Espinal: two typical villages built along roads, surrounded by the damned most savage landscape in the Pyrenees, in the words of Ernest Hemingway. They stand out for the beauty of their strong Pyrenean-style houses. 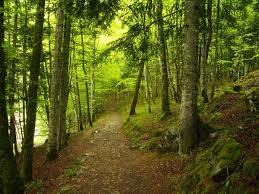 Very close to the route, do not miss the leafy forest of la Selva de Irati and Orbaitzeta (17 km from the Pilgrim’s Way from Auritz/Burguete). 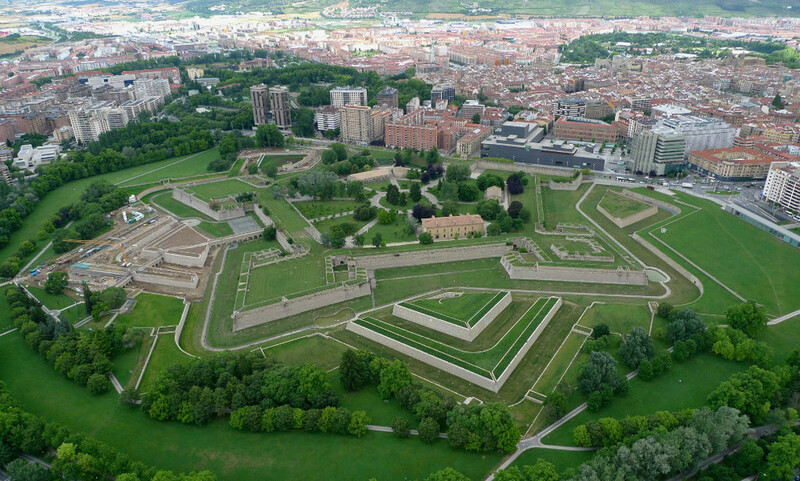 Pamplona: an elegant, sober city with the three boroughs of its ancient mediaeval city surrounded by walls. Its narrow streets and squares are watched over by towers and belfries such as those of the churches of San Cernin, San Nicolás or the la Catedral. Apart from the long list of monuments, there are several green spaces such as the romantic Taconera park or the invincible fortress of the Citadel. Do not forget to follow the route of the famous Bull Run or taste the succulent pinchos (tapas) in the city’s bars.